These stir sticks will make sure very party goer will have what they need to identify and mix up a sharp drink. 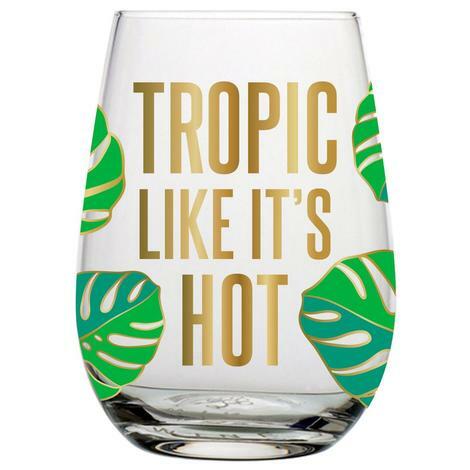 This "Tropic Like It's Hot" stemless wine glass holds 20 oz of your favorite beverage. 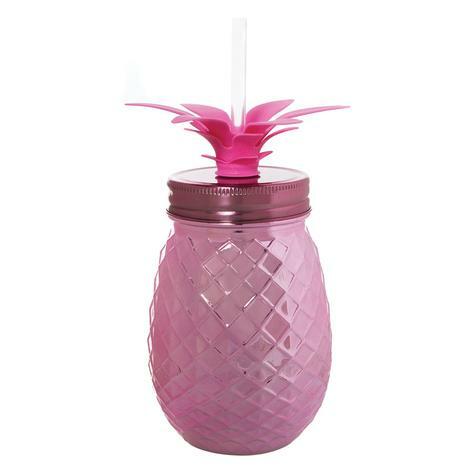 This 16 oz pineapple pink mason jar easily holds plenty of ice to keep your drink cold. The straw and lid prevents accidental spills. 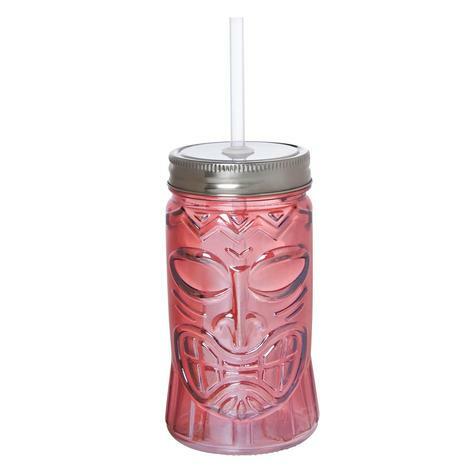 This Hawaiian styled pink mason jar is great for any beverage occasion.